Herculaneum. 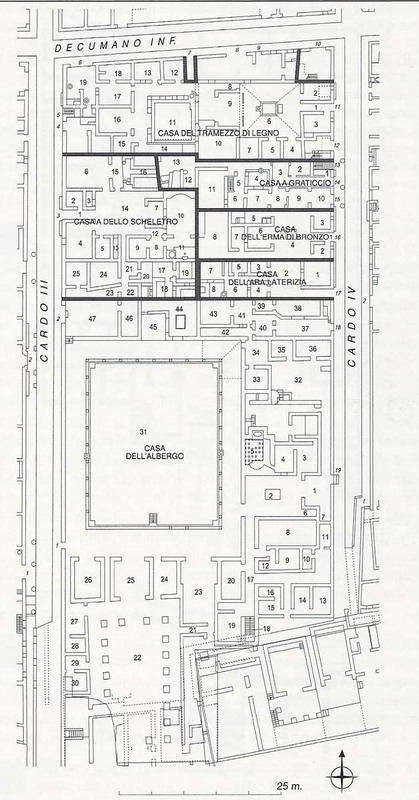 Plan of Insula III. III.3 Casa dello Scheletro, or House of the Skeleton. III.10 Bottega del Lanarius, or Workshop of Lanarius. III.11 Casa del Tramezzo di Legno, or House of the Wooden Screen. III.16 Casa dell’ Erma di Bronzo, or House of the Bronze Herm. III.17 Casa dell’Ara Laterizia or House of the Brick Altar.